My first Penny Reid book and it was a bust :( Obviously, the issue is me because everyone else loved this book. Maybe I read it at the wrong time or maybe I was just in a mood, but I struggled with it from the beginning and found myself skimming most of it. I guess you can't love them all. 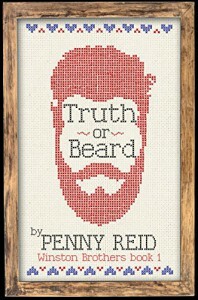 I'll wait a few weeks and try another Penny Reid book - fingers crossed that is a better fit.